It was the first site I set up when my gallery/store Arkham closed its doors ten years ago. Spookypop was my experimental online world where I explored my artistic leanings. It mutated through many versions and themes from purple to teal to sepia and eventually spawned the Mechtorians who moved to their own site and have been the focus of my work for the best part of the decade. Spookypop saw the birth of my first hand made toys, the Podlings and the Poddyville mini series as well as my first customised vinyl toys. But the name is no longer relevant to what I do. I am neither very Spooky or very Pop… So a new site under my own name is born to house my non Mechtorian work. This is not the end of my art.. far from it, just the closing of one now redundant online arm of it. I thank everyone who has visited Spookypop over the years and enjoyed my musings there. I hope you will continue to follow me in my ever evolving art adventure. For links to all my online activity please visit my About Page. Last event of the year that I will be vending at. I will have a full convention table of toys, art and merchandise available. 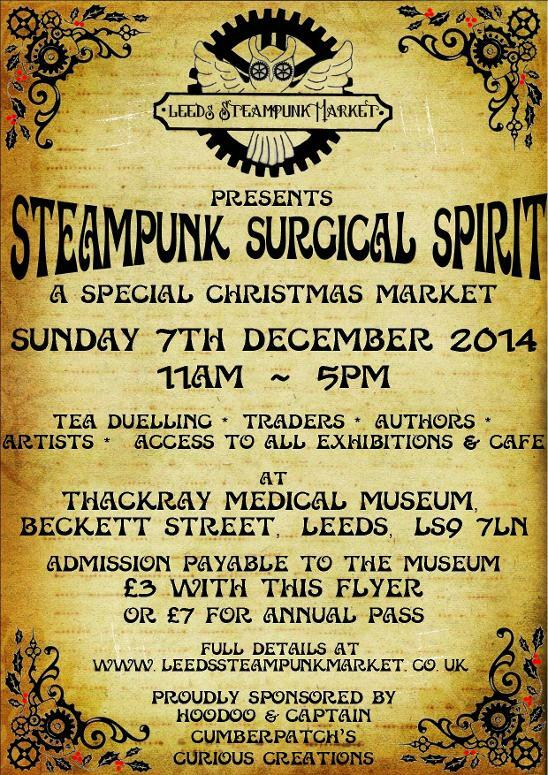 a Christmas Market, at The Thackray Medical Museum, Leeds, UK. Running time of the event is from 11am – 5pm on Sunday 7th December. The museum itself opens at 10 so you can visit the exhibitions or go in the cafe until we are.